Mission Northeast is a 501 (c) 3 charitable organization, eligible to accept tax exempt donations. Our mission is to change our community, one life at a time, through the love of Jesus Christ. Our service area covers over 800 square miles, and 11 zip codes. All programs and services are provided free of charge to persons living in poverty. Shampoo/conditioner, Toothpaste/toothbrushes, Deodorant, Razors, Bath soap. Watch for information on a ribbon cutting for our new food warehouse! Funding generously provided by Montgomery County Community Development. 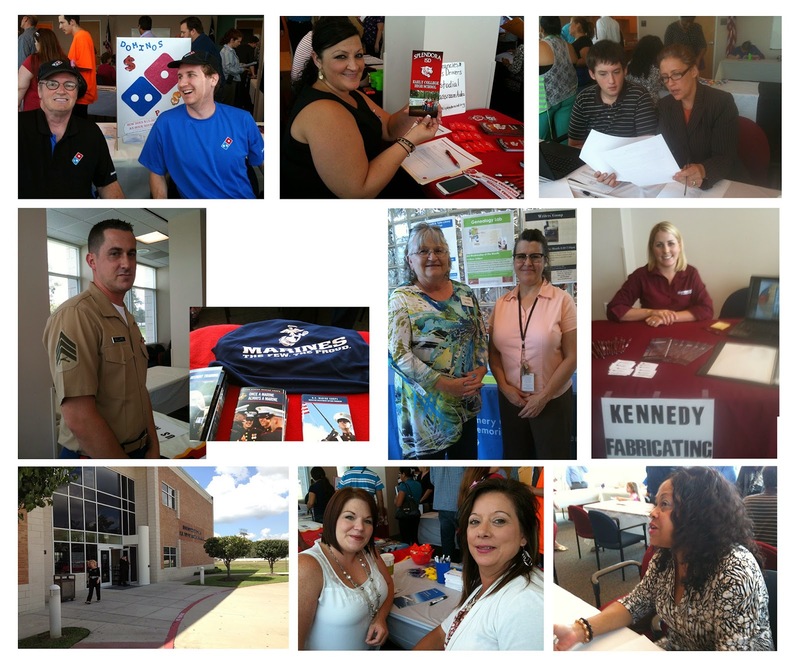 Domino's Pizza had fun at Mission NE Job Fair, and brought boxes of pizza for all to enjoy! This twice yearly event offers job seekers a unique opportunity in today's world-- being able to meet face to face with employers who want to hire in this area. In a world of online applications submitted through the internet, job seeking has become more challenging for both employers and job seekers. Mission Northeast, working with Tullis Library and area employers, provides an exciting, face to face venue for all parties. Our partnership with Tullis Library in New Caney has added a great component to the job fair-- onsite computers for online job applications and library personnel to assist the applicants. 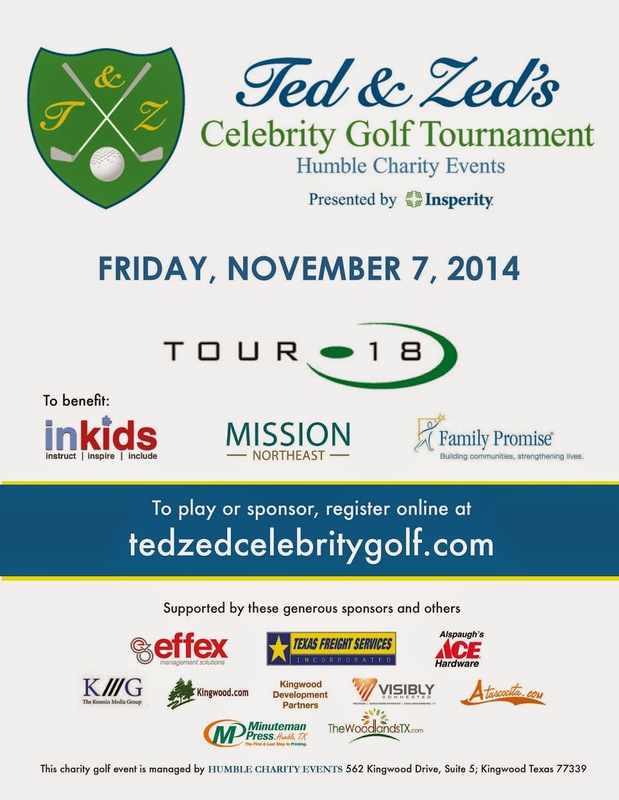 Join the fun and register to play with the celebrities! 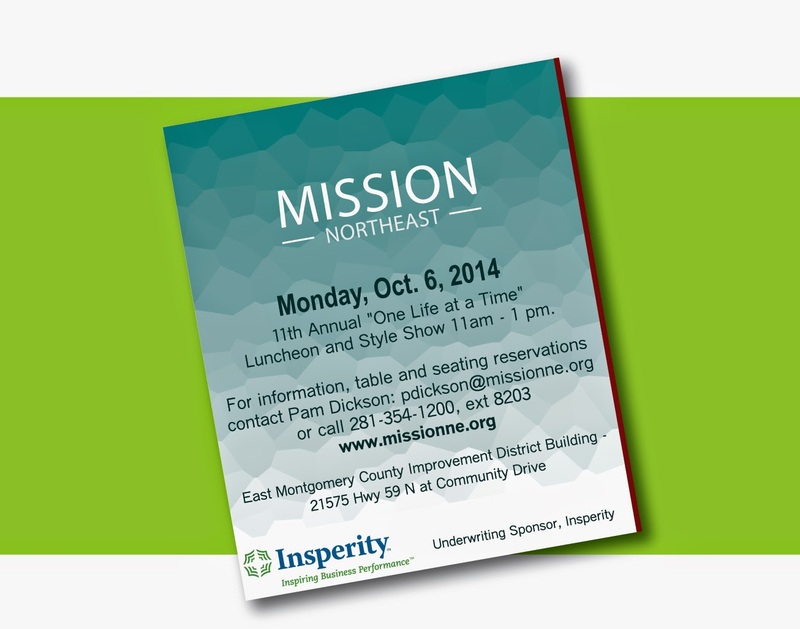 You can also bid to win a foursome of your choice at the Mission NE Annual Luncheon and Style Show October 6. Kroger asks their charity supporters to renew their sponsorships twice a year, and now is the time to do so for Mission NE. This is especially critical as we approach the busy holiday season; so please complete as soon as possible!! Mission Northeast and Kroger appreciate the support of our community!! or link your card directly at www.KrogerCommunityRewards.com. 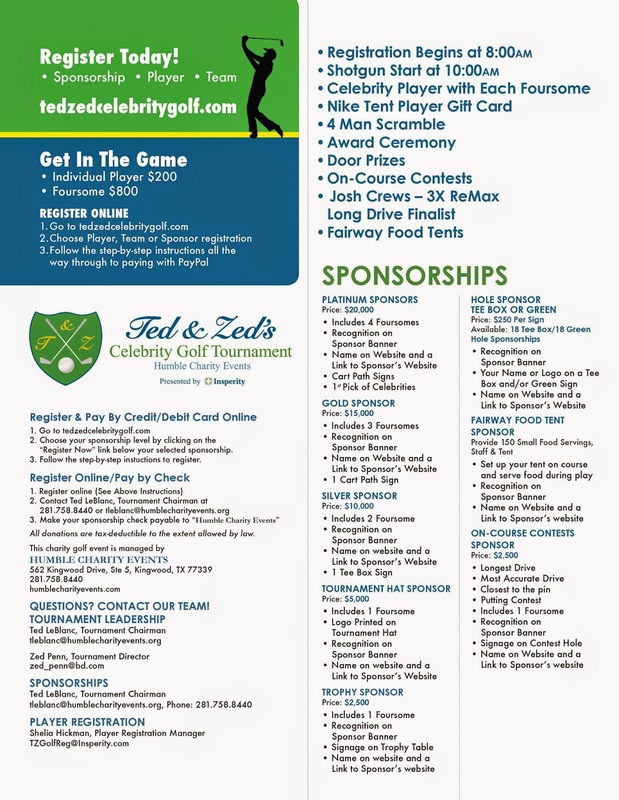 Polish up your golf clubs and join us at Tour 18 on Friday, November 7 for the annual Ted & Zed Charity Golf tournament! Teams, individuals, and sponsors are needed; along with several volunteers. Where else can you have a great time on such a beautiful golf course while raising money for three excellent organizations: Mission Northeast, In Kids, and Family Promise?! We are "teaming together" to make a difference in our community, and we need YOU to be there on November 7. Your support will make a difference as we three organizations fight poverty, autism, and homelessness. Major sponsors of the event include Insperity, Texas Freight Services, and EFFEX Management Solutions -- won't you join them...? Please contact Pam Dickson at pdickson@missionne.org to sign up your team or join the team of volunteers.